Make project-based learning easier with Foundry. We engage students in the learning process, dramatically reduce paperwork and compile performance-based assessment in an easy-to-search format. Learn more. We provide the software and services to make it efficient, effective and easy. We can help you get started, manage the mounds of data, scale it for your size, and prepare your stakeholders for the transformation to deeper learning. Foundry is your Deeper Learning partner to transform classrooms, schools or entire districts. And with over 70,000 teachers and students collaborating on more than 700,000 learning experiences, we’ve certainly learned how! Remove the paperwork barrier and inspire your students! 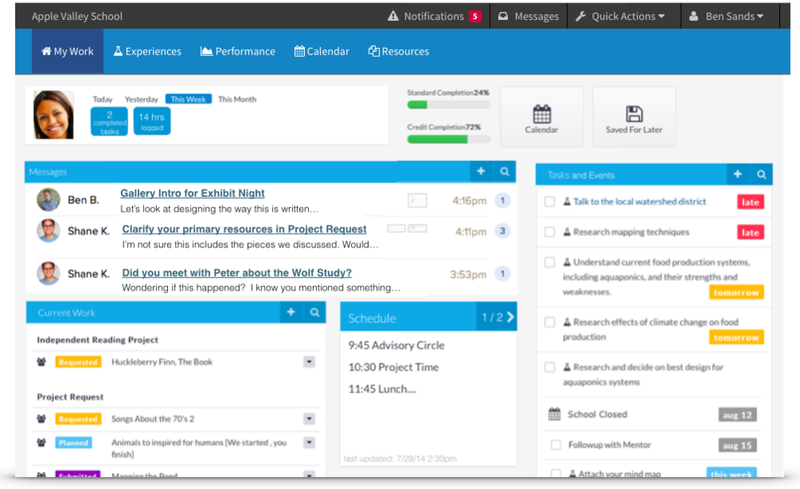 Plan, Work, Assess, Show – all in one platform! You became a teacher to inspire students, not to be burdened by tracking and record keeping. Project Foundry is your one-stop shop to manage student learning plans, work, reflection, assessment, and performance showcase. Delight your teachers, students and parents, improve engagement and learning, and prepare students for 21st century work and life. Foundry provides the collaborative platform to allow students to drive their education, parents to participate, teachers to create and manage, and administrators to easily check those reporting mandate boxes. Project Foundry makes personalization possible for every student, manageable for teachers, eye-opening for parents, and reassuring for administrators. Help your students get excited about learning again! Deeper Learning prepares students with the 21st century skills for college, career, and life. Deeper Learning methods embed strong academic learning, but also embody the ability to solve complex problems, work collaboratively, communicate effectively and learn how to learn. Deeper Learning – and our software to manage it – encompasses many educational methodologies that are standards-based and student-centered.